The silver tinplated steel metal tea tins are available in two convenient sizes. Each tin includes a silver metal cap lined with a pliable plastic ring, which fits snugly inside the metal container to form a good seal. 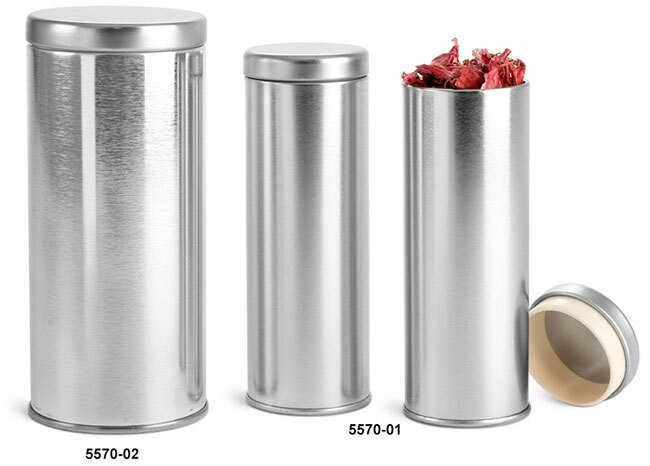 These metal tins could be ideal for packaging spices, teas, candies and more!